Mumbai-based Patch Design Studio may still be in its teething stages, but that hasn’t stopped the team from taking a juicy bite out of some very coveted assignments. Turning two this February, it pays that both co-founders Ipsit Patel and Rika Chaudhry, architect graduates from CEPT, Ahmedabad have cut their teeth with leading lights of the industry and even have international experience to their credit. 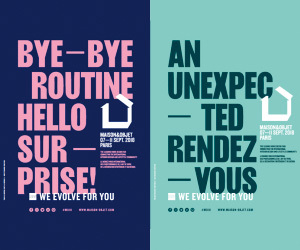 Describing themselves as a multi-disciplinary firm with expertise in architecture, interiors and product design this young team applies their varied interests in music and origami to creating a vibrant and refreshing portfolio. “With each project we try to push the notional boundaries of design and function” add the team. As the new kid on the block, Patch Design Studio is trying harder. And it’s working. 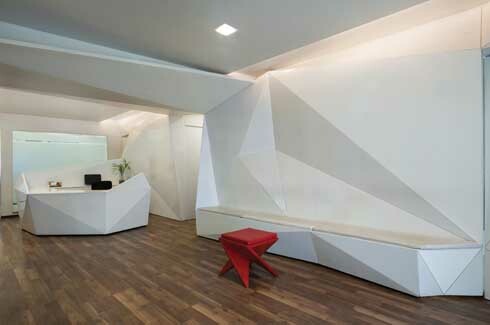 The team confesses it took some coaxing to get the client to buy into the origami concept. When working on the plan, Patch Design Studio agreed to retain certain traditions like a white palette and PUC coated surfaces that would lend a brighter, spacious look to the area, but insisted on working a little twist into the design. Origami, one of Rika’s pet pastimes provided the inspiration for the centre’s interiors, helping endow the space with unique character. 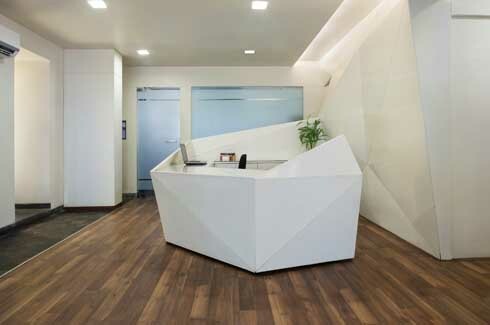 The main feature wall in the reception area folds to envelope a bench for patients while at another end the wall folds into a reception desk. 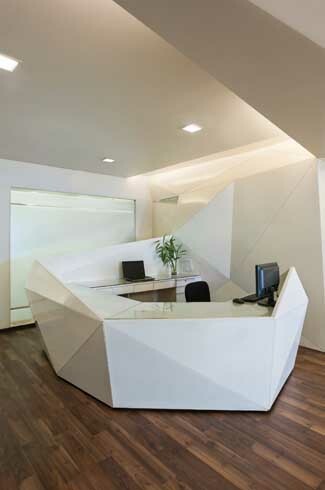 The designers have cleverly extended the concept of origami folds to furniture and have achieved startling results with an edgy desk and stool. Their refusal to be pinned down by convention as well as their ability to visualise the fantastic in the dull and ordinary makes them worthy of a centrefold. 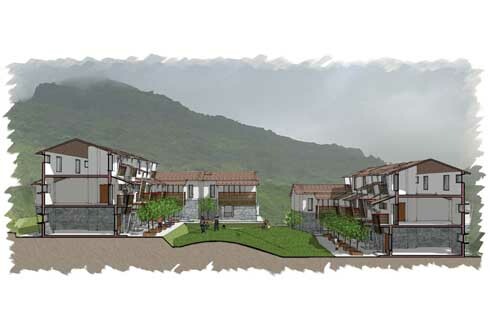 Last year, Patch Design Studio made an ambitious pitch to design and develop 16-acres for SOIL’s (School of Inspired Leadership) campus in Pune. One of the requisites of the brief was to develop a sustainable plan that would fit in perfectly with the surroundings and respect the natural elements. The team comprising Ipsit, Rika and Shruti Gaonkar visited the site before putting forth their visualisation of the space. As a leadership school it was imperative to maintain a mature aesthetic in layout but as a residential campus it was equally essential to create an environment that energised the mind and spirit. 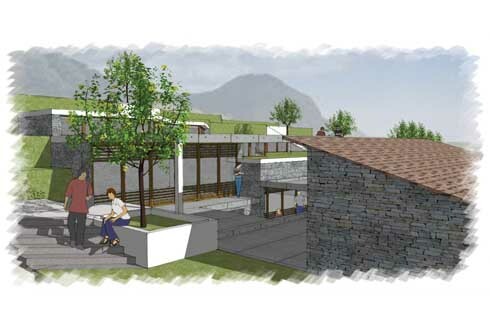 The team recommended use of compressed earth bricks, local stone and lightweight roofing system for the basic structure. Additionally harnessing solar and wind energy and a water recycling plan would help the campus integrate into the environment. Inspired by the group discussion model that is favoured by the school, the classrooms, library and breakout spaces are designed to facilitate peer and professional interaction. 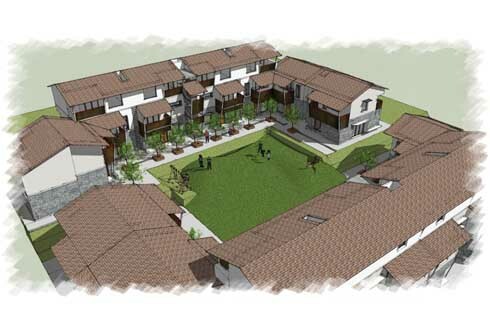 The final design makes the most of the contoured site and natural climatic conditions. It also sensitively approaches the issue of a symbiotic relationship with neighbouring communities to create shared resources and infrastructure. Necessity is the mother of invention and also the driving force behind the product design portfolio of Patch Design Studio. While designing the interiors for a client – OML – the designers drew a blank when looking for accessories to match the industrial decor theme. That moment was the genesis of their first product – a garage light designed by Ipsit, followed by a range of lighting fixtures and furniture. Adds Rika, “It’s all about the details. We get down to making the products ourselves so that they are completely in sync with the theme.” One of the advantages of stepping into new territory is an unharnessed imagination that knows no limitations or pre-conceived notions. 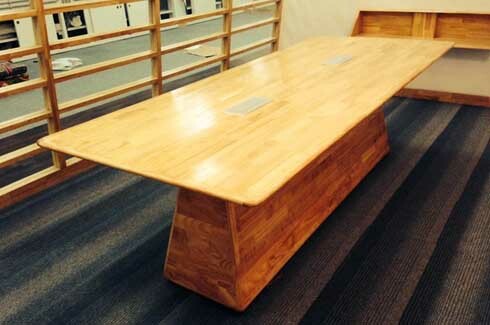 As a result, the team was able to conjure up a quirky conference table with plumbing pipes and coasters for one client and for another – a chunky conference table that resembles a clothes-iron turned upside down. 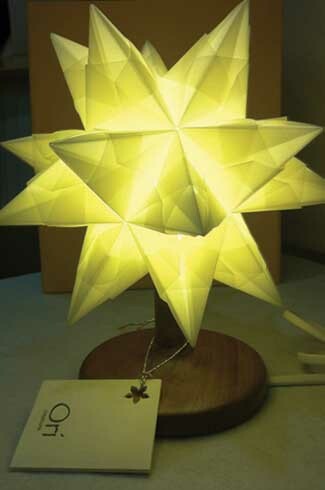 The origami lights made of parchment paper are easily the most charming of the lot and have a special frothy temporal beauty. The red origami stool on the other hand stands daintily on its toes and adds an element of perky insouciance. Perpetually engaged with exploring recycled or unconventional materials, the team exhibits a fine gift for resourcefulness and originality.